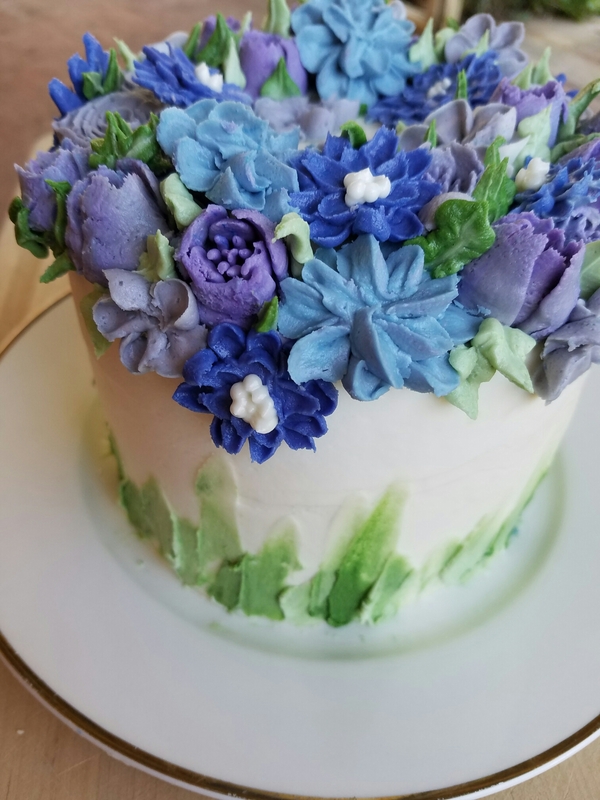 I love youyour flower cake. 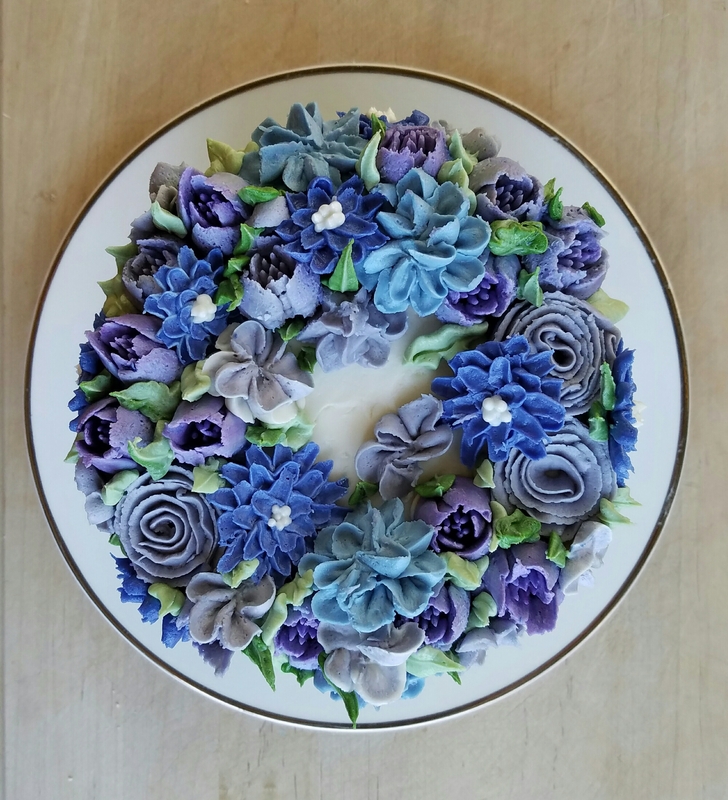 It is my mum’s 70th in march and have been looking for ideas. 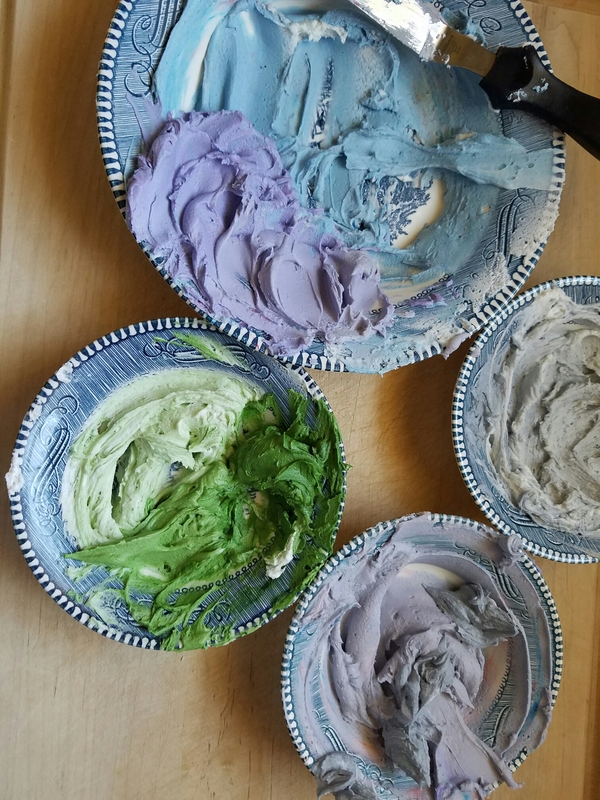 Did you use royal icing to pipe or normal icing sugar? 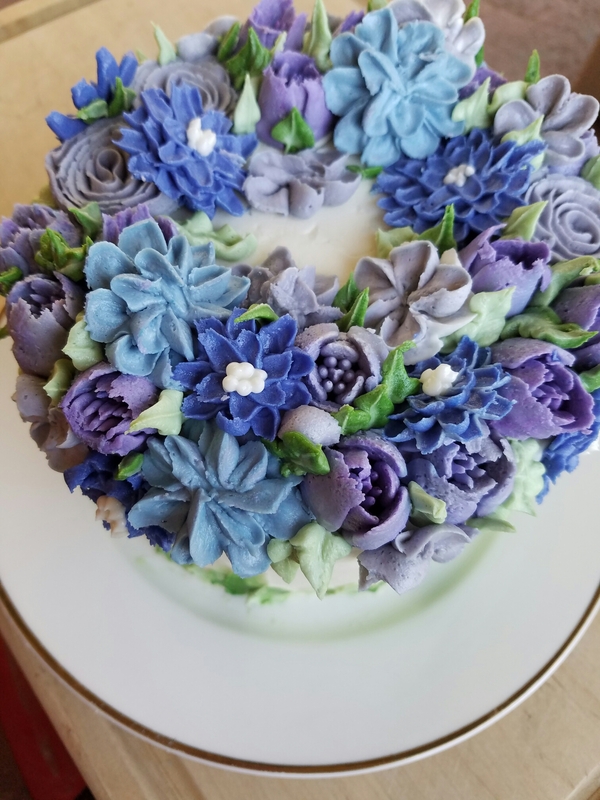 Would you have not just been able to pipe directly onto the cake? Hi! It’s so nice of you to make a cake for her. 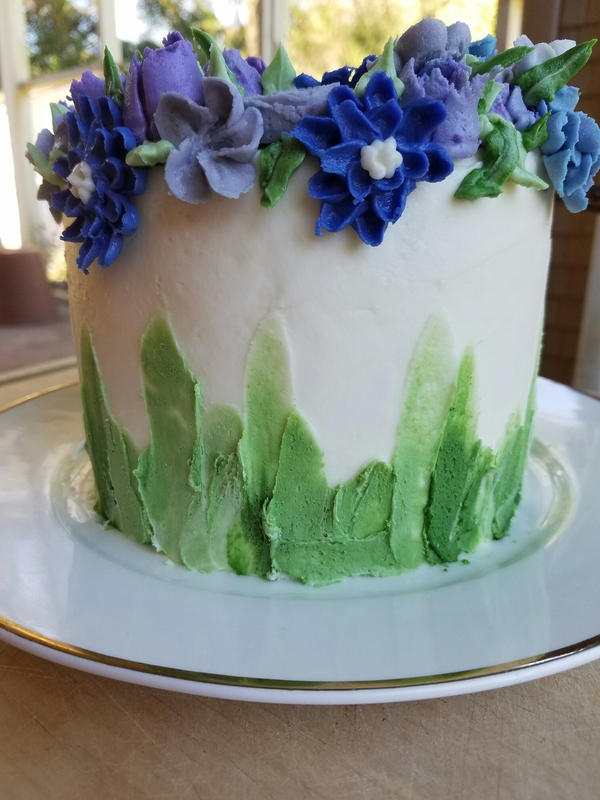 I used American buttercream. 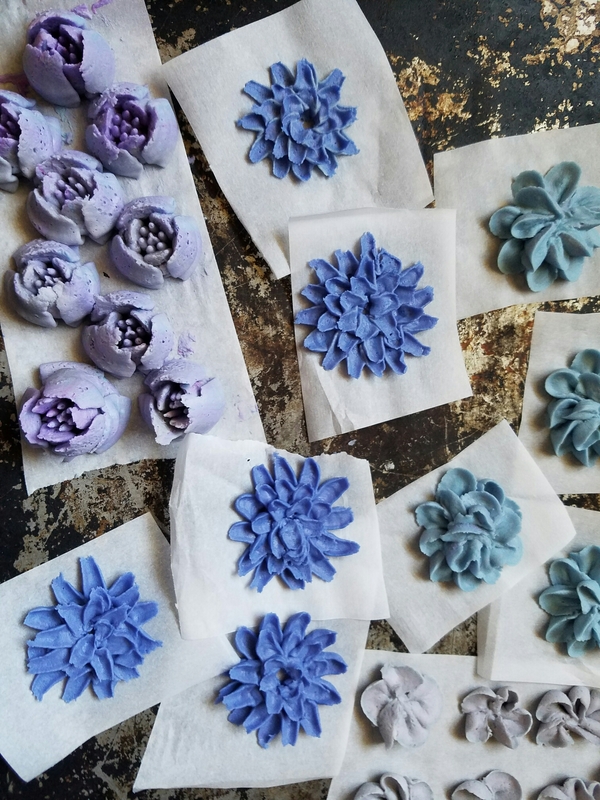 By piping the flowers on squares of waxed paper and freezing them, you have more control over how the flowers look and on where they are placed. I’d love to know how it turns out!